Have you always wanted to become a writer? Do you feel you have literary potential? You only need motivation to write a book? Take part in the NaNoWriMo campaign – the National Novel Writing Month. We would like to invite all those who write to take up the challenge and write 50,000 words in a month. NaNoWriMo (the National Novel Writing Month) is a popular campaign – in 2012 alone, 340,000 future writers from all over the world participated and altogether, they wrote 3,288,976,325 (3.28 billion) words. The rules are simple. You just need to create an account at www.nanowrimo.org and then just write your novel until the 30th of November. Each day on the website, you can update the information about the number of words you have written, and between the 25th and the 30th of November, use a special form to verify whether you managed to exceed the magical threshold of 50,000 words. Winners will receive special certificates and… immense satisfaction. 50,000 words, i.e. about 300,000 characters – this gives us an average of 1,666 words (nearly 10,000 characters) per day. This is quite a lot, but such writing productivity is possible. During 57 years of his work, Józef Ignacy Kraszewski, a titan of Polish novel writing, wrote 232 novels, which gives us an average of 4 books per year (and this calculation does not include numerous short stories and feature articles of his authorship). 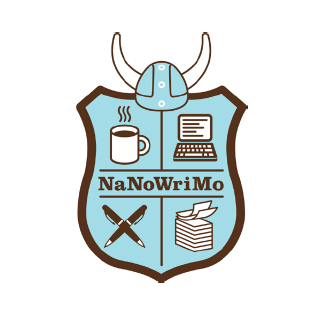 So what is the recipe for crossing the NaNoWriMo threshold? As Dorothy Parker, American writer, best-known as a portraitist of 20th-century metropolises, used to say: “Writing is the art of applying your behind to the seat”.